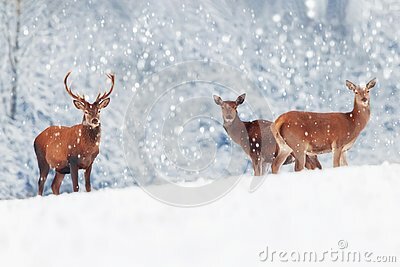 A group of beautiful male and female deer in the snowy white forest. Noble deer Cervus elaphus. Artistic Christmas winter image. Winter wonderland.